Hello stampers! Welcome to Mrs. Lincoln's Inkin'! Today's share is of a card using some of the new products that i received the other day! I LOVE getting shipments of new items to play with!! 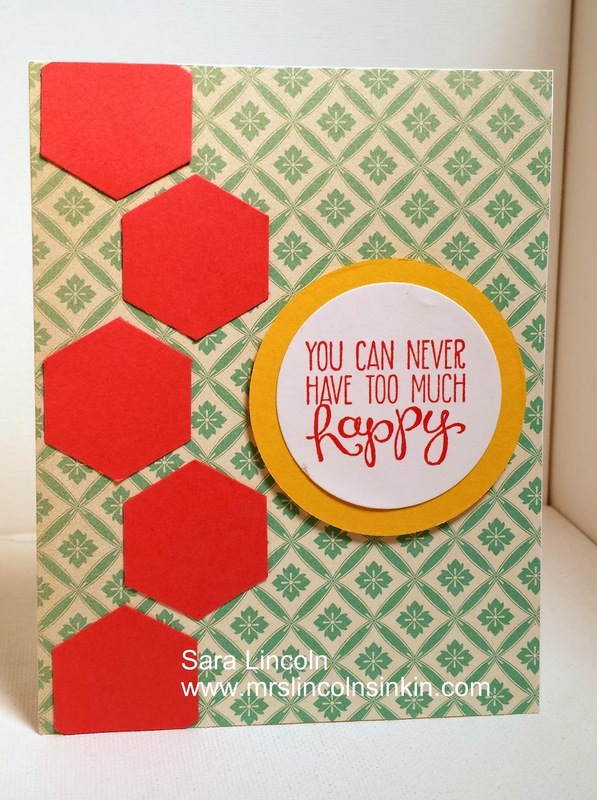 I covered my entire card using a piece of the Afternoon Picnic DSP and then used my new Hexagon Punch (LOVE IT) with the Strawberry Slush card stock to arrange as a boarder along the side of my card, which measures average size of 4 1/4" x 5 1/2". Quick reminder, today is the day where you can now order the Magnetic Platform (130658) again to use in the Big Shot! This item has been on back order for what seems like forever and it is finally back. Order yours today!!! !